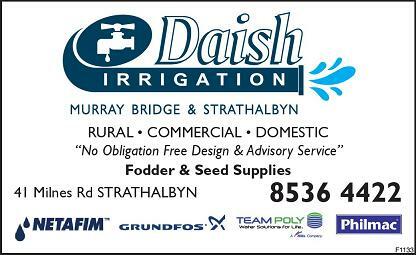 For domestic, commercial and agricultural, the staff at Daish Irrigation in Strathalbyn & Murray Bridge can advise you on what products best suit your specific irrigation needs. They have one of the largest range of irrigation products in the Lower Murray and Fleurieu areas and have provided irrigation sales and services to many people throughout the district and outlying areas. We are agents for leading brands Grundfos, Netafim, Team Poly, Philmac. 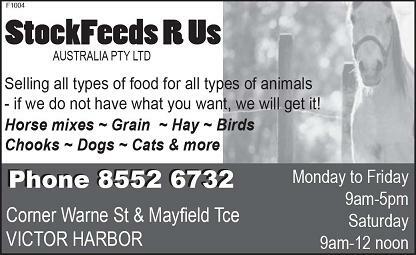 Selling all types of food for all types of animals – if we do not have what you want, we will get it!